Recent purchase of a special collection of Zuni beaded items. 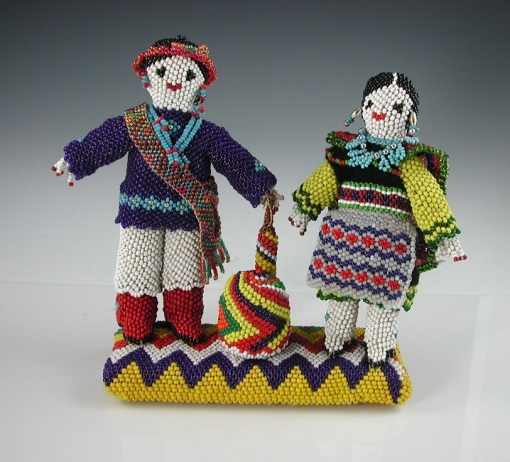 Beaded male and female figures. The man has a beaded sash and the woman has a beaded cape and apron. 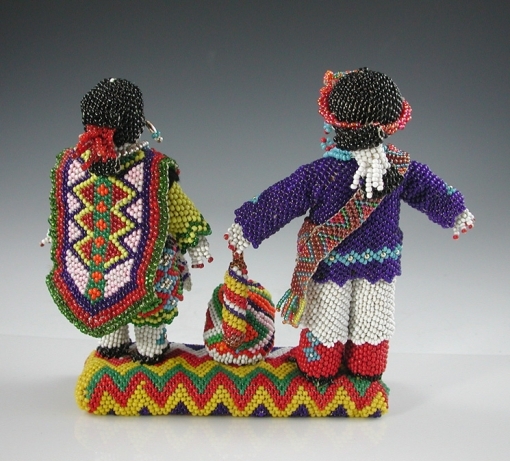 They are attached to a fully beaded base with a beaded drum between them. This is a rare, special piece of Zuni beadwork by artist Annie Hooee.